Photo by U.S. Fish & Wildlife Service The Bald Eagle’s name originates with the adult bird’s all-white head that so contrasts with the dark body. In addition to an abundance of red, white and blue decorations, the recent celebration of the Fourth of July likely featured various images and depictions of the bald eagle, which has served as the official bird of the United States of America since the latter decades of the 18th century. During a trip last month to Pawleys Island, South Carolina, I saw a single bald eagle. I haven’t observed any bald eagles in the region so far this year, but I did monitor via nest cams the progress of a couple of eagle pairs as they raised their chicks. The resurgence of the once-endangered bald eagle in the lower 48 states has been a laudable accomplishment that all Americans should view with pride. Artist and naturalist John James Audubon knew, as did Benjamin Franklin, that the Bald Eagle frequently scavenged its meals. 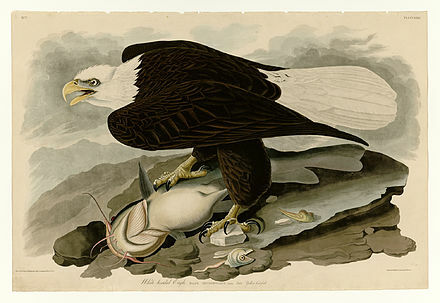 Audubon’s painting of an eagle with a large catfish doesn’t clearly indicate whether the bird caught the fish or scavenged an already dead one. I thought that readers would be better prepared to celebrate Independence Day with some interesting information on our national bird, the American bald eagle, which officially became the national emblem in 1782 when the great seal of the United States was adopted. Although Benjamin Franklin famously expressed reservations about making the bald eagle our national bird, in hindsight it’s clear that Americans made the right choice. Despite elevating this native bird to such lofty status, we have not always been kind to the bald eagle. We allowed habitat destruction and toxic pesticides to bring this eagle to the brink of extinction. With well-deserved protection, however, the bald eagle rebounded, and the Department of Interior finally took the eagle off the threatened species list on June 28, 2007. The bald eagle has been more frequently observed by birders in Northeast Tennessee in recent years. 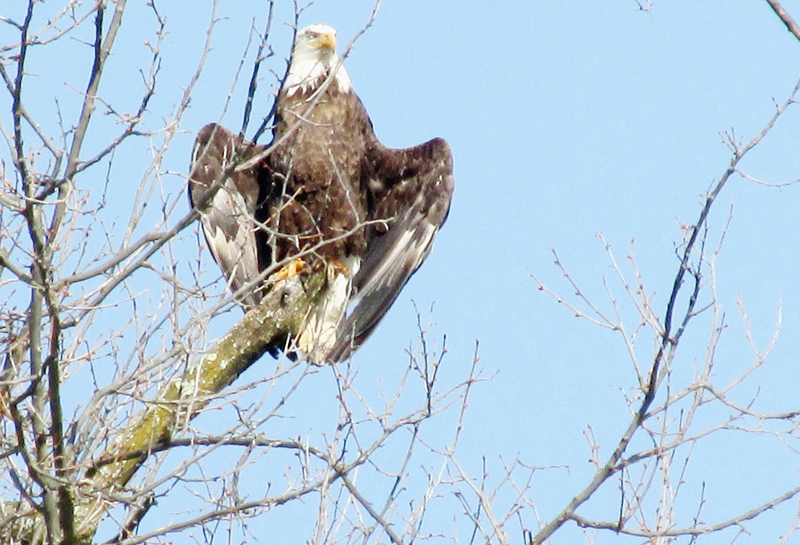 Some of the region’s rivers and lakes are good places to look for bald eagles, particularly in the fall and winter. 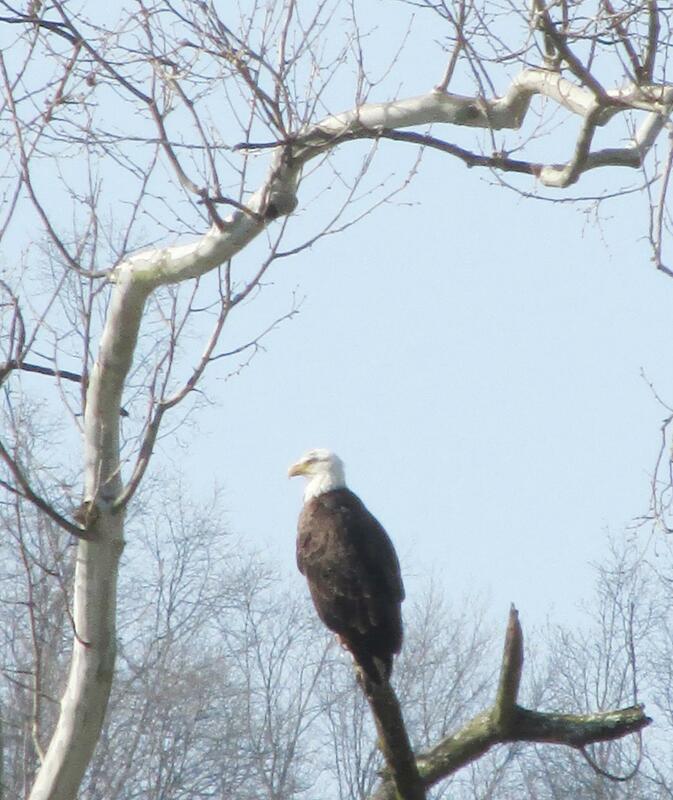 A few lakes even regularly host nesting bald eagles. I’ve observed bald eagles in Tennessee, South Carolina, Florida and Virginia. Photo by Bryan Stevens A Bald Eagle perched in a tree along the Watauga River in Elizabethton, Tennessee. The bald eagle (Haliaeetus leucocephalus) is a member of a genus known as Haliaeetus, or sea eagles. There are seven other living species in the genus: the white-bellied sea eagle, Sanford’s sea eagle, African fish eagle, Madagascar fish eagle, Pallas’s fish eagle, white-tailed eagle and Steller’s sea eagle. The eagles are incredibly majestic birds and important symbols of the value of natural places and creatures. Steller’s sea eagle is named for the German naturalist Georg Wilhelm Steller, who is renowned for his work as a pioneer in the natural history of Alaska. The 49th state to join the union is also the stronghold for the bald eagle. On occasion, Steller’s sea eagle has strayed into U.S. territory at Alaskan locations including the Pribilof Islands and Kodiak Island. Steller’s sea eagle is bigger than the bald eagle. In fact, it is the largest member of the Haliaeetus genus of eagles, making this bird one of the largest raptors in the entire world. 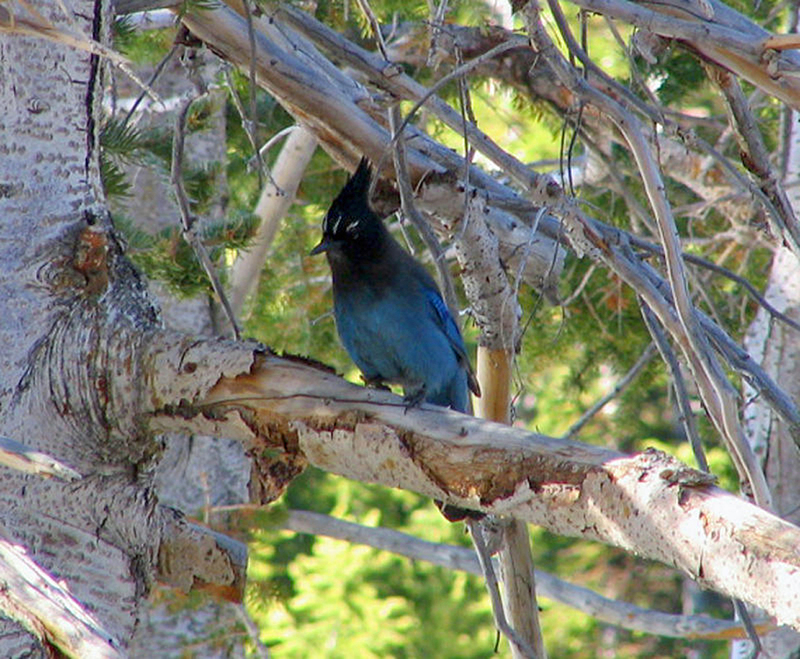 Photo by Bryan Stevens The Steller’s Jay is named in honor of German naturalist Georg Wilhelm Steller. The naturalist for which the bird is named has also been honored by the naming of other creatures, including Steller’s sea lion and the now-extinct Steller’s sea cow, as well as several birds, including Steller’s jay and Steller’s eider. He was the first naturalist to describe several creatures native to Alaska, although two of these, the sea cow (a relative of the manatees) and the spectacled cormorant, are now extinct. The latter, which was the largest cormorant to ever live, is a particularly sad story. These cormorants were basically eaten into extinction, exploited as a food source by sailors and fur traders. The last spectacled cormorants perished around 1850 on a Russian island off the coast of the Kamchatka Peninsula. 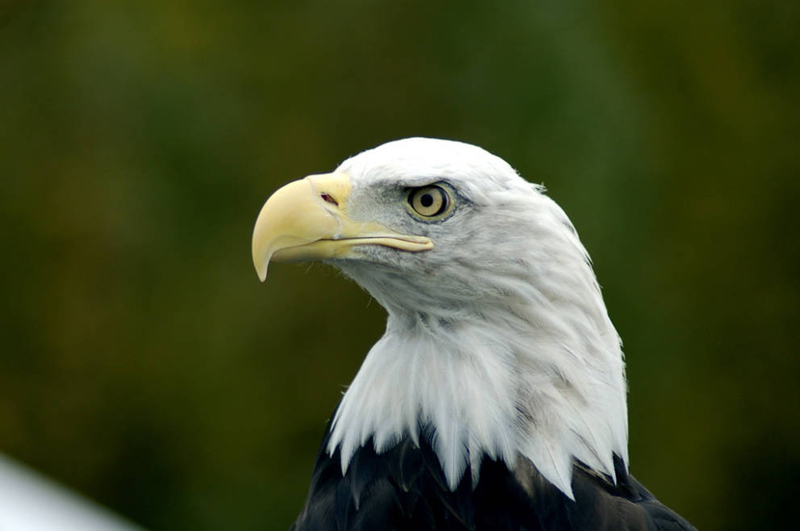 Fortunately, we have proven a little more far-sighted in our treatment of the bald eagle, which was removed from the U.S. government’s list of endangered species on July 12, 1995, and transferred to the list of threatened species. In 2007, bald eagle numbers had rebounded enough in the Lower 48 states to also allow for the bald eagle to be removed from the list of threatened species. The bald eagle, however, is not considered closely related to eagles in the genus Aquila, or “true eagles,” in which the golden eagle is included. North America’s other eagle is a very rare visitor to the region. The golden eagle is primarily a bird of the western United States while the bald eagle ranges widely across the United States as well as into Canada and Mexico. Other true eagles include the Spanish imperial eagle, tawny eagle and wedge-tailed eagle. Photo by Bryan Stevens A Bald Eagle basks in sunshine from a perch in a tree along the Watauga River. Both male and female adult bald eagles have a blackish-brown back and breast; a white head, neck and tail; and yellow feet and bill. Juvenile bald eagles are a mixture of brown and white and reach full maturity in four to five years. The female bald eagle is 35 to 37 inches in length, slightly larger than the male, with a wingspan that ranges from 72 to 90 inches. Bald eagles weigh from 10 to 14 pounds. The bald eagle’s diet consists mostly of fish, some of which are scavenged, but these large raptors are also capable of preying on everything from muskrats and ducks to rabbits and snakes. The bald eagle will also feed on carrion. Two-hundred and thirty-four years after it was declared an official emblem of the United States, the bald eagle has become an instantly recognizable American symbol. Long may the eagles fly. Bryan Stevens lives near Roan Mountain, Tennessee. To learn more about birds and other topics from the natural world, friend him on Facebook at https://www.facebook.com/ahoodedwarbler. He is always posting about local birds, wildlife, flowers, insects and much more. If you have a question, wish to make a comment or share a sighting, email ahoodedwarbler@aol.com. This entry was posted in Bald Eagle, Birding, Birds, Georg Wilhelm Steller and tagged Bald Eagle, Birding, birds, Bristol Herald Courier, Bryan Stevens, Carter County Compass, Elizabethton Star, Erwin Record, Feathered Friends, Georg Wilhelm Steller, McDowell News, Our Fine Feathered Friends, The Erwin Record on July 9, 2016 by Bryan Stevens. Great post with pics of the Eagles.